I'm going to disown this package. Upstream is too tied to specific Electron versions, and building against system Electron requires a lot of work. On top of this, they keep changing up their build system, so every update requires a new workaround. With the Electron/Node ecosystem being what it is, building this from source just isn't a good fit. 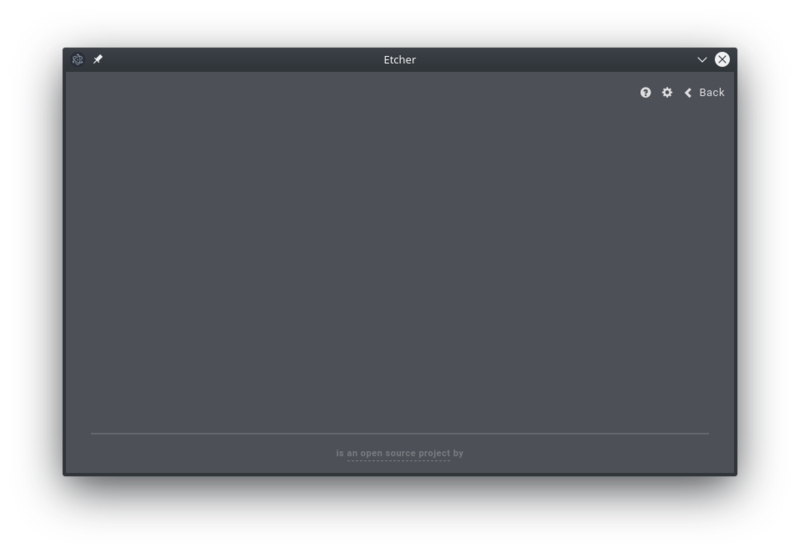 Try etcher-bin. I know I could apply the fixes to the PKGBUILD myself, but I think it's best for the maintainer to step it up. The submodule issue should be resolved in 1.5.24 - blame upstream. I'll update the package this Saturday, or Sunday at the latest. Fetched in submodule path 'scripts/resin', but it did not contain 481cacb7f1533985507c84f28940cada0fb109e5. Direct fetching of that commit failed. Thanks for the (now valid) out-of-date flag. I won't get to updating the package until this weekend, unfortunately.